The Wolf Pack (19-23-3-2, 43 pts., .457) returned from the AHL All-Star break with a 5-2 loss at Springfield on Friday night. Hartford came back from a 2-0 first-period deficit to tie that game at two, on goals by John Gilmour and Connor Brickley, but the Thunderbirds went on to tally the final three of the contest. Then, on Saturday night at the XL Center vs. North Division-leading Rochester, the Wolf Pack got a late third-period goal from Ville Meskanen to avoid a shutout, but that was the only one of 35 Hartford tries to elude Americans goaltender Jonas Johansson in a 4-1 Rochester victory. For the latest AHL standings, click here. The Wolf Pack have a busy week on tap, with four games in six days, starting Tuesday night at home vs. Bridgeport. That game faces off at 7:00 PM, and then the Wolf Pack get their first look at the Syracuse Crunch Friday night at the XL Center, in a 7:15 game. After that, Hartford makes its first trip of the year to Allentown, PA for a pair of battles against the Lehigh Valley Phantoms. The Wolf Pack and Phantoms tangle Saturday night at 7:05 and Sunday afternoon at 3:05. This is Bridgeport’s last trip of the season to the XL Center, and the second-to-last of ten meetings between the AHL’s Connecticut rivals. The Wolf Pack are 4-3-1-0 thus far on the year against the Sound Tigers, 2-1-1-0 at home. The Sound Tigers come into this week winners of two of their last three games, but since January 2, when they were 21-9-4-1, they have won only four of 13 contests (4-8-0-1). Bridgeport still sits second in the Atlantic Division at 25-17-4-2 for 56 points, 12 points behind Charlotte and one point up on Providence. Former Wolf Pack forward Chris Bourque (10-24-34 in 46 GP) has put up 3-4-7 in the last four games, to take over the Sound Tiger team points lead. 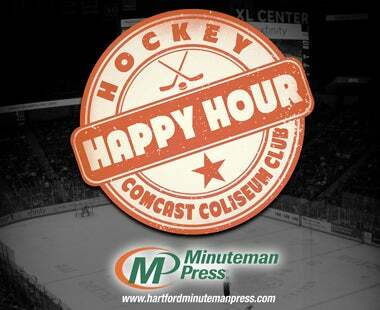 At this and every Wolf Pack home game, fans are encouraged to come early for “Hockey Happy Hour” in the Comcast Coliseum Club, presented by Minuteman Press. Enjoy $2 beers and $5 appetizers from 5:00 PM until puck drop. 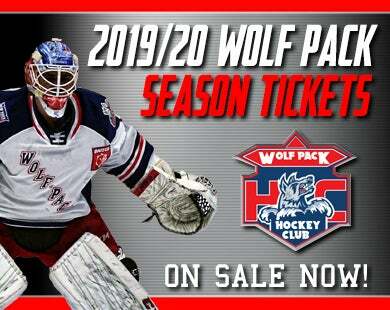 Tickets for this and all 2018-19 Wolf Pack home games are on sale now at the Agera Energy Ticket Office at the XL Center, on-line at www.hartfordwolfpack.com and by phone at (877) 522-8499. Tickets purchased in advance for kids 12 or younger start at just $13 each, and all tickets will have a $3 day-of-game increase. Broadcast – live with Bob Crawford and Mark Bailey on News Radio 1410 AM, and 100.9 FM, WPOP, on-line at newsradio1410.iheart.com and on iHeartRadio. 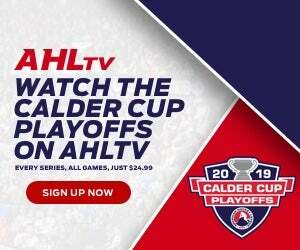 Video streaming at theahl.com/AHLTV. This being a Friday-night Wolf Pack home game, fans can enjoy $1 hot dogs, and $2 draft beers and fountain sodas, through the start of the second period, presented by Nomads Adventure Quest. This is Pride and Diversity Night at the XL Center. Join the Wolf Pack as they team up with the “You Can Play Project” to promote equality and diversity in the community. The Crunch are the highest-scoring team in the AHL, averaging 3.81 goals-per-game, and come into the week on a six-game winning streak. At 27-13-2-1 for 57 points, Syracuse is three points behind first-place Rochester in the North Division. Syracuse scoring leader Carter Verhaeghe (22-32-54 in 43 GP) has the second-most points in the AHL, and is tied for fourth in the league in goals, and Cory Conacher (15-30-45 in 39 GP) is tied for fourth among AHL skaters in points and assists. This is the first time the Wolf Pack and Crunch have seen each other this season, the opener of a two-game season series. The two clubs split a pair of meetings last year, with Syracuse winning 3-2 in their only XL Center visit January 6. At this and every Wolf Pack home game, fans are encouraged to come early for “Hockey Happy Hour” in the Comcast Coliseum Club, presented by Minuteman Press. Enjoy $2 beers and $5 appetizers from 5:15 PM until puck drop. This is the Wolf Pack’s first visit of the season to Allentown, after having won two of their three home games vs. the Phantoms. Hartford swept three meetings between the two teams at the PPL Center last year, all by one-goal margins, including an overtime win and a shootout win. 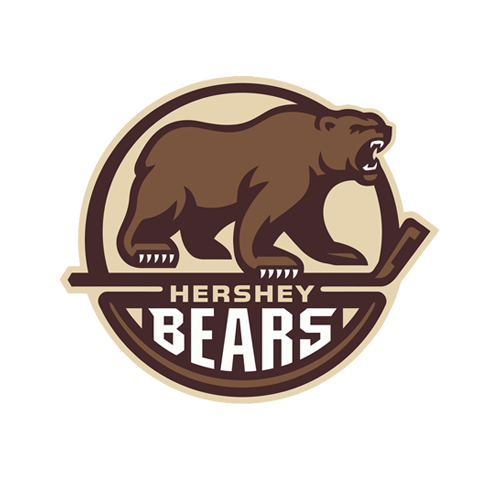 Lehigh Valley (25-17-3-2, 55 pts.) is currently tied with Providence for the last playoff spot in the Atlantic Division, one point behind Bridgeport and three points ahead of Springfield. Former Wolf Pack forward Dale Weise, who played 194 games in a Wolf Pack/CT Whale uniform from 2008-09 through 2010-11, had a goal and an assist for the Phantoms in a 7-5 home win over Bridgeport Friday night, his first AHL game since the 2011 playoffs with the Whale. Broadcast – live with Bob Crawford on News Radio 1410 AM, and 100.9 FM, WPOP, on-line at newsradio1410.iheart.com and on iHeartRadio. Video streaming at theahl.com/AHLTV. The Wolf Pack come into the week 7-14-1-2 on the road, and the Phantoms are 13-9-0-1 at home. In 12 all-time games at the PPL Center, the Wolf Pack are 10-2-0-0. Dustin Tokarski – returned to the Wolf Pack by the New York Rangers January 28. All Wolf Pack practices at Champions Skating Center in Cromwell are open to the public. Schedule is subject to change. Join the Wolf Pack for its first Craft Beer Night Friday, February 22, when the Springfield Thunderbirds visit the XL Center for a 7:15 PM start. Enjoy 90 minutes of tastings from Back East, Connecticut Valley and Hanging Hills brewing companies for only $50. That cost includes a game ticket. For more information, click here. Once again this season, fans can enjoy $1 hot dogs, and $2 draft beers and fountain sodas, at every Friday Wolf Pack home game, through the start of the second period, presented by Nomads Adventure Quest. After this Friday, the Wolf Pack’s next Friday home date is February 22, when they host the Springfield Thunderbirds in a 7:15 PM game. Each of the Wolf Pack’s Sunday and Wednesday home games will feature the Wolf Pack’s “Click It or Ticket Family Value Pack”. The Family Value Pack includes two tickets, two sodas and two hot dogs, all for just $40. The next Family Value Pack game is Wednesday, February 13, when the Toronto Marlies come to town for a 7:00 PM game. Every Wolf Pack Wednesday home game is a “Winning Wednesday”. If the Wolf Pack win at home on a Wednesday, fans can show their Winning Wednesday ticket at the Agera Energy Ticket Office at the XL Center and receive a free ticket to the next Wednesday Wolf Pack home game (some restrictions apply). The Wolf Pack’s next Wednesday home game is February 13, a 7:00 PM contest vs. the Toronto Marlies. 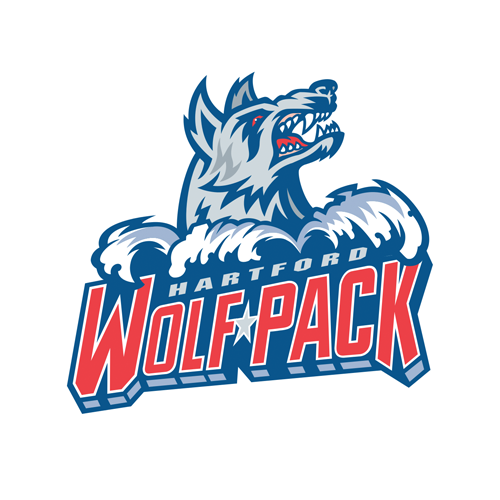 Wolf Pack home game tickets can be purchased at the Agera Energy Ticket Office at the XL Center, on-line at www.hartfordwolfpack.com and by phone at (877) 522-8499. Tickets purchased in advance for kids 12 or younger start at just $13 each, and all tickets will have a $3 day-of-game increase.